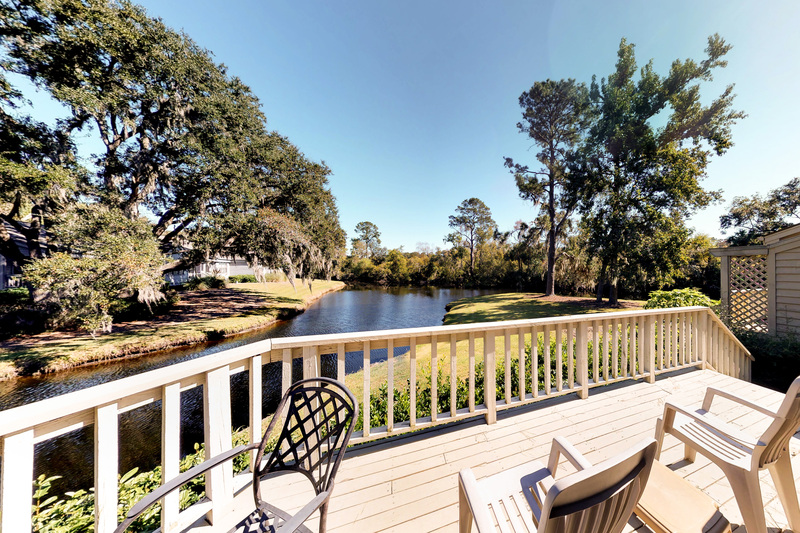 This elevated single level Lake Forest villa is an end unit with a peaceful deck for entertaining or relaxing with lagoon views. 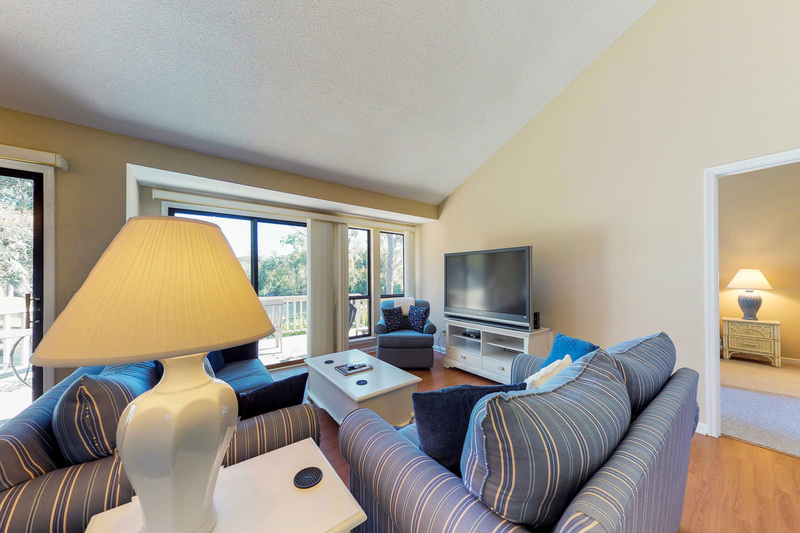 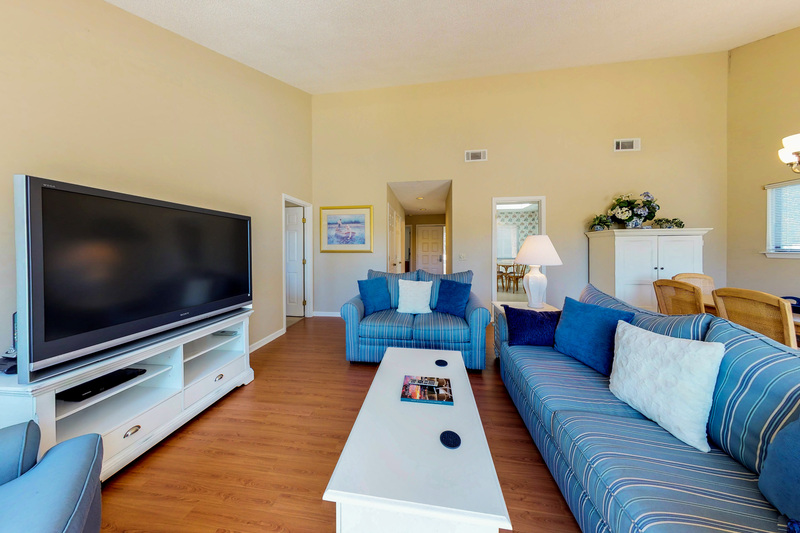 The living room is furnished with a sleeper sofa for added accommodations as well as a 54" LCD TV and DVD player. 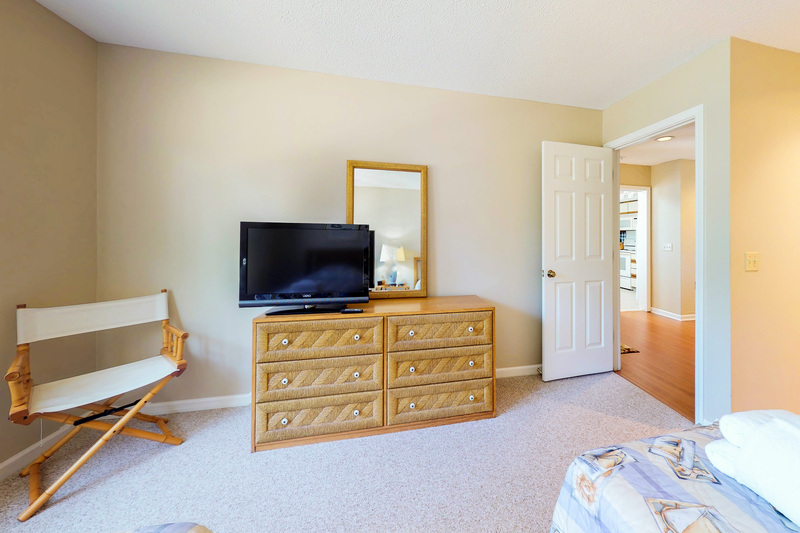 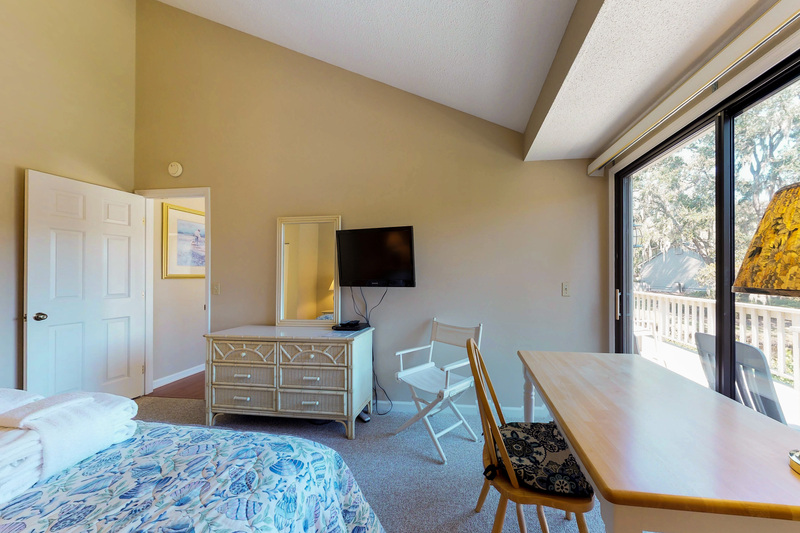 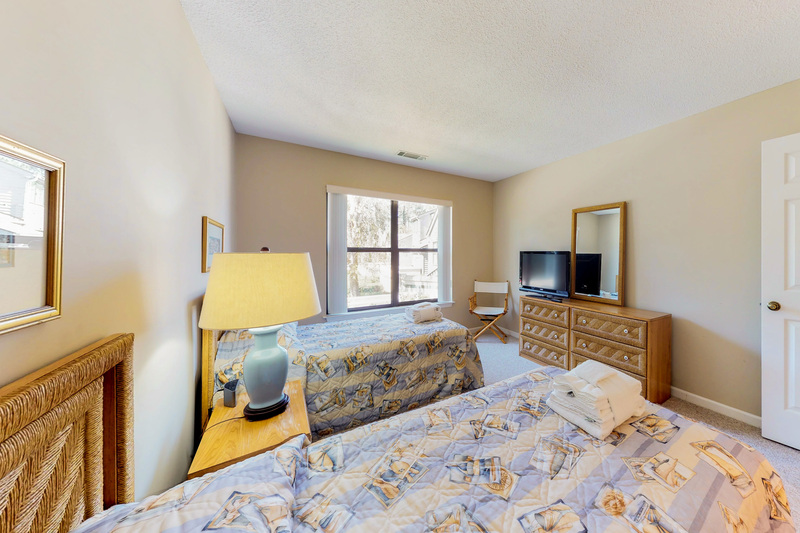 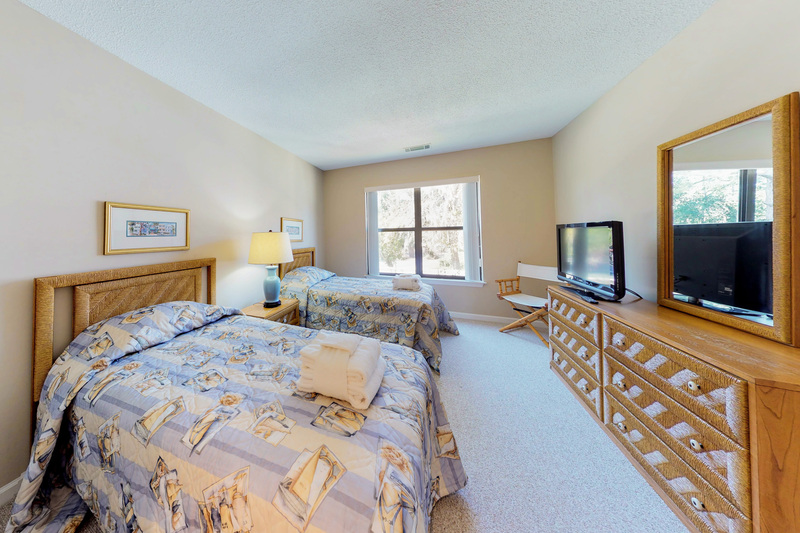 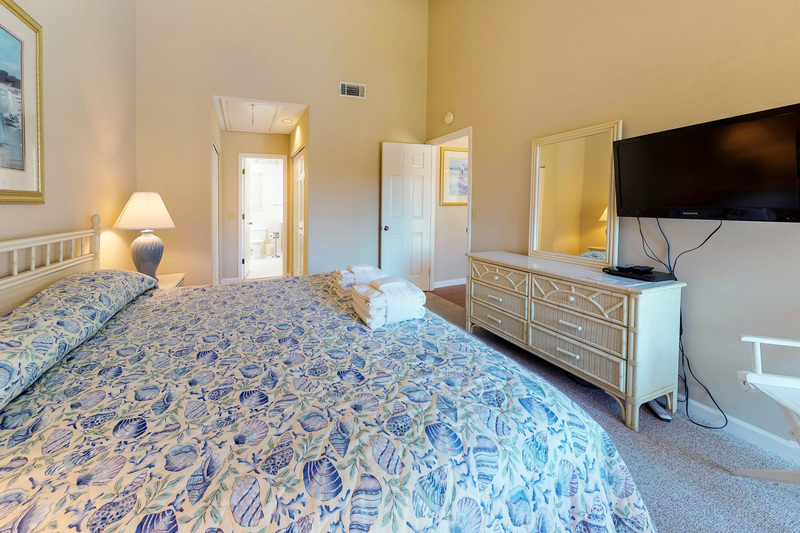 The master bedroom features a king bed and 32" flat screen TV with a DVD player, as well as private bath with step in shower and separate tub. 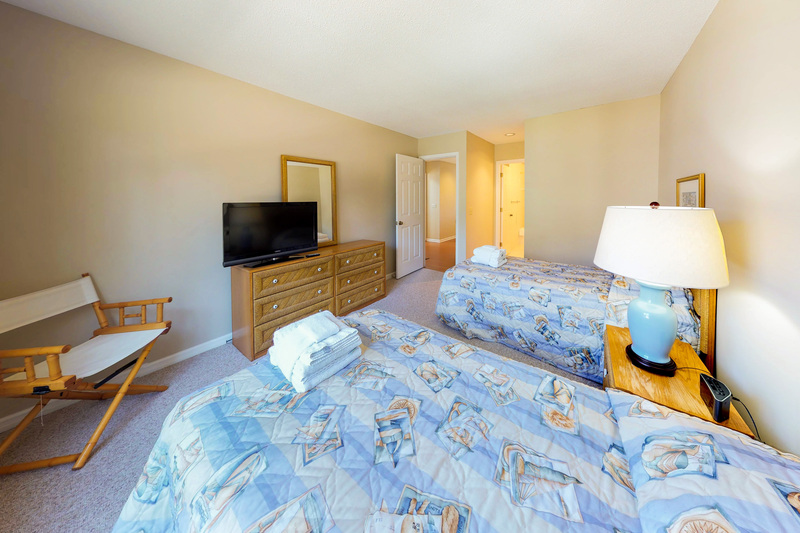 The guest bedroom has two twin beds and a 32" flat screen TV. 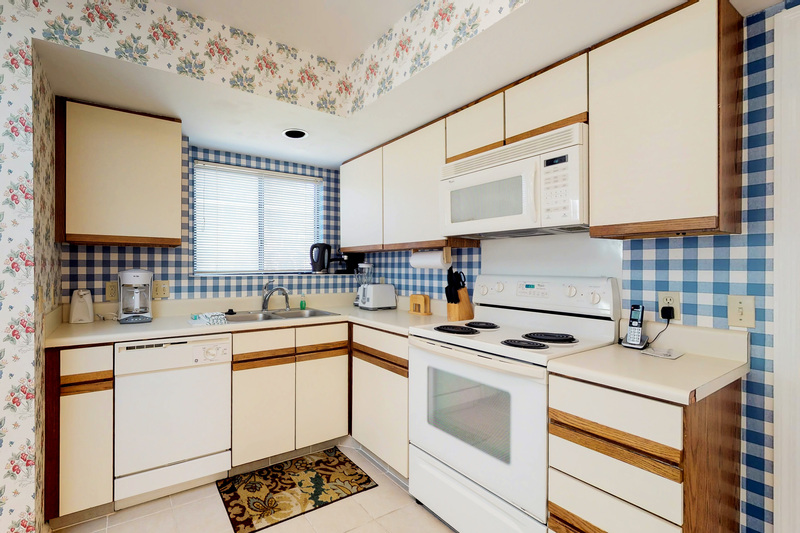 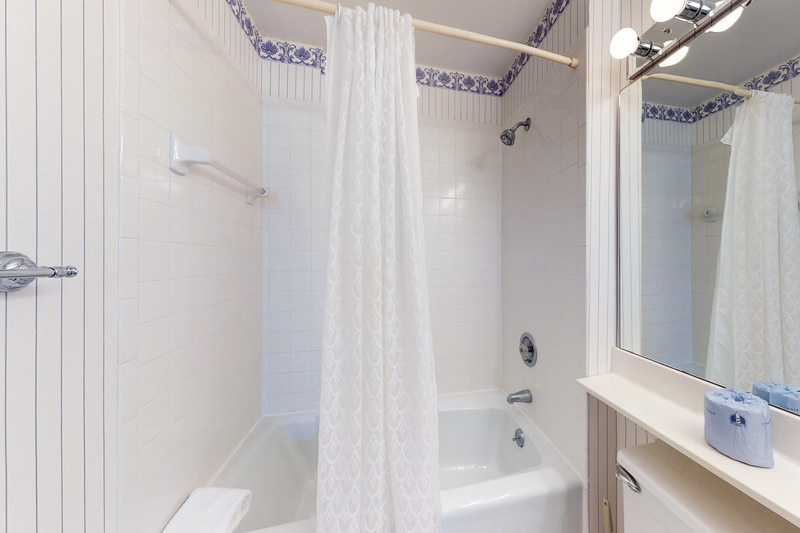 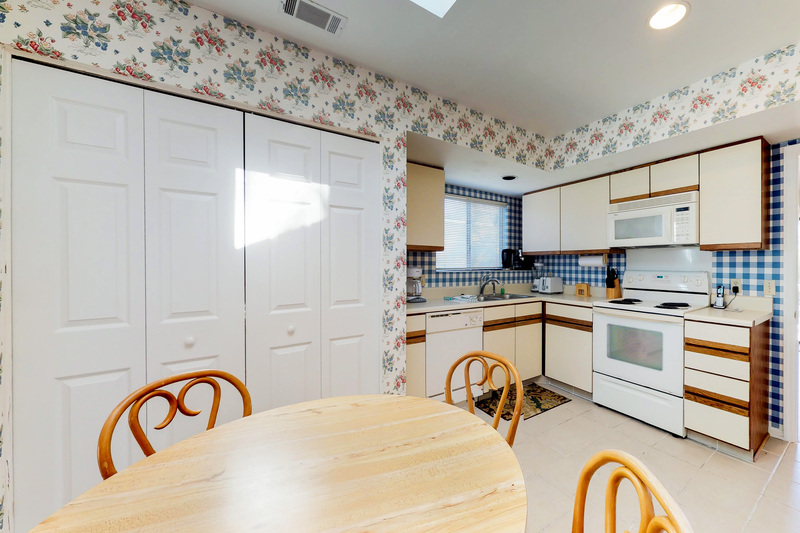 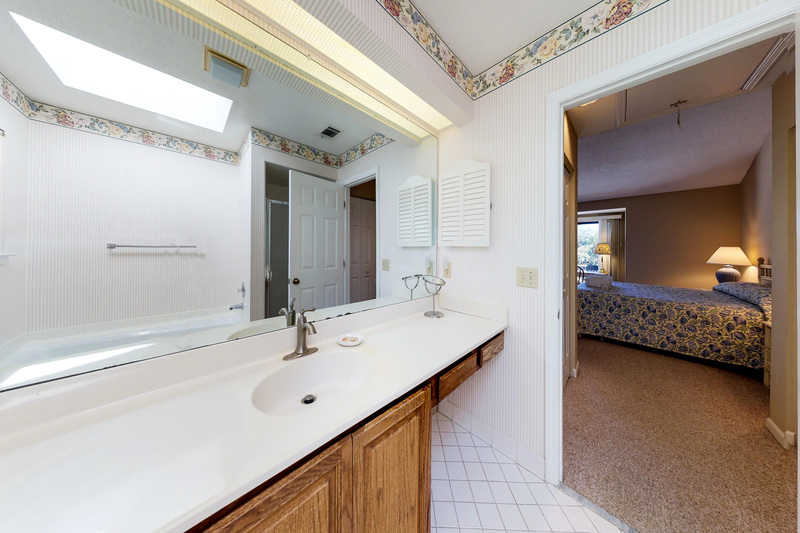 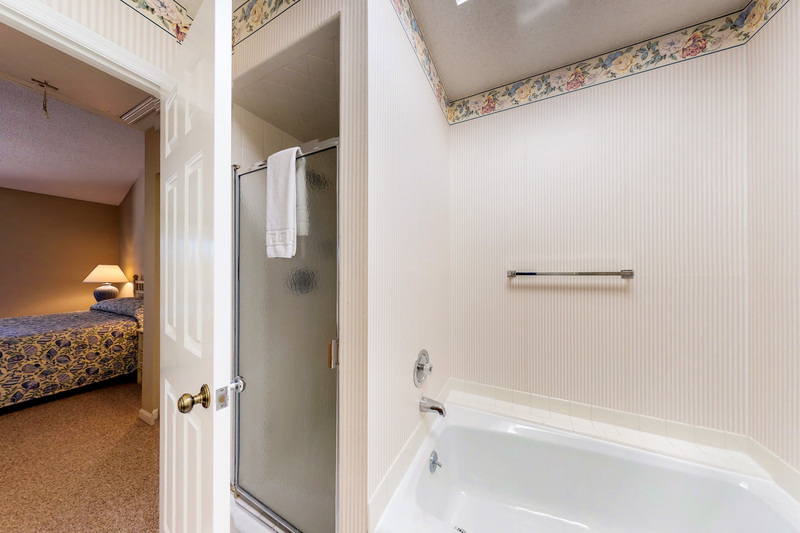 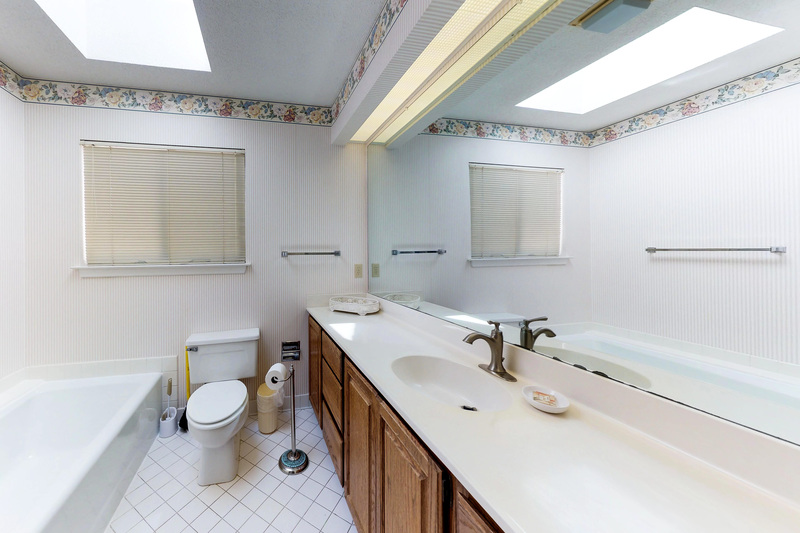 There is a guest bathroom that is accessible from the hallway as well as the bedroom. 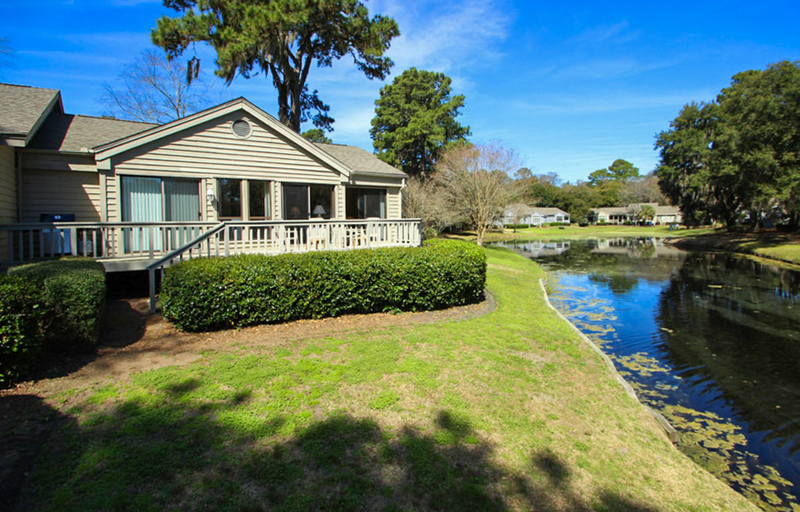 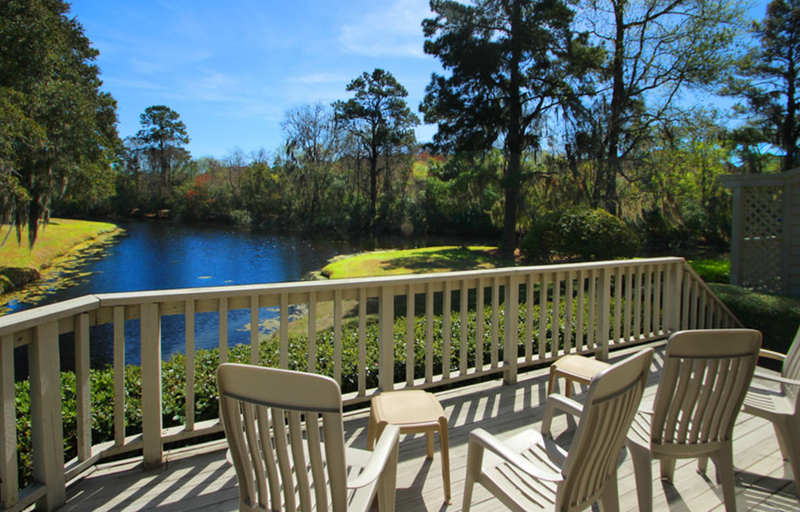 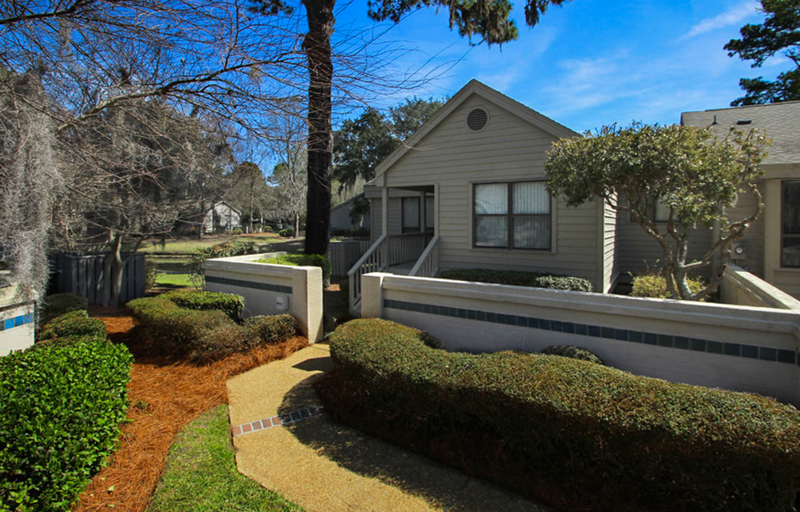 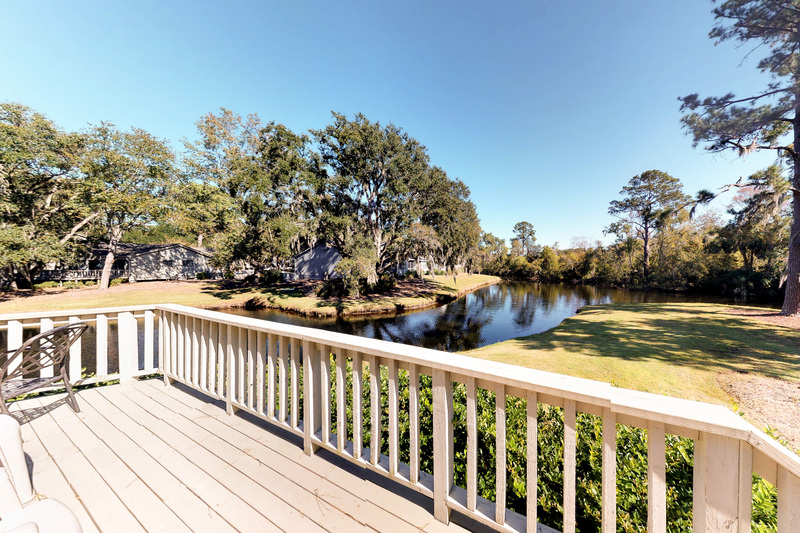 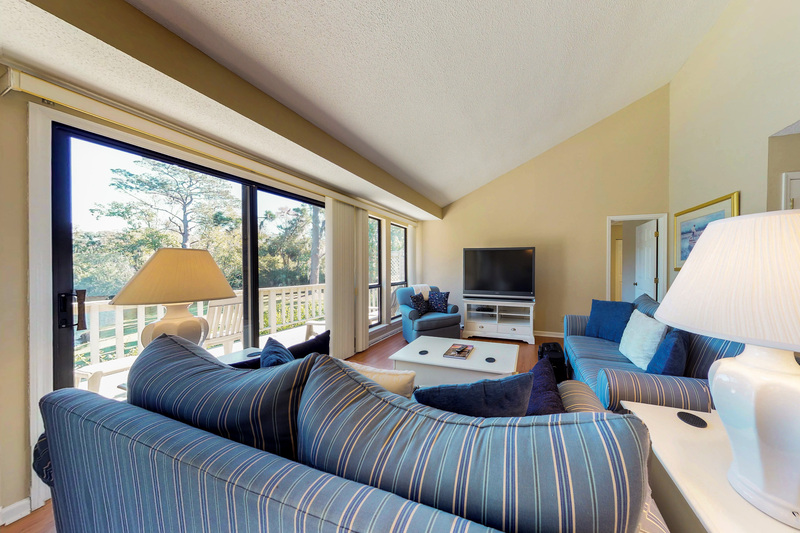 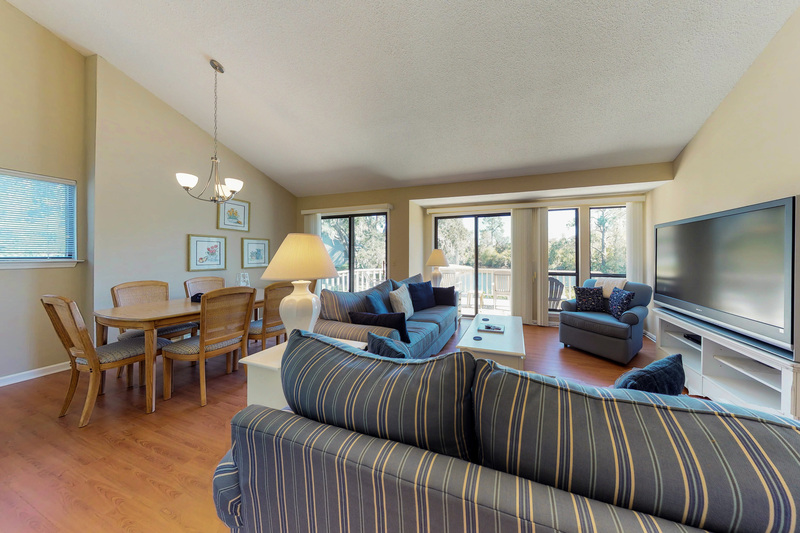 Tucked away near the Sea Pines Forest Preserve, these Lake Forest villas offer the ultimate in quiet privacy, and yet are still convenient to Harbour Town and the beach. 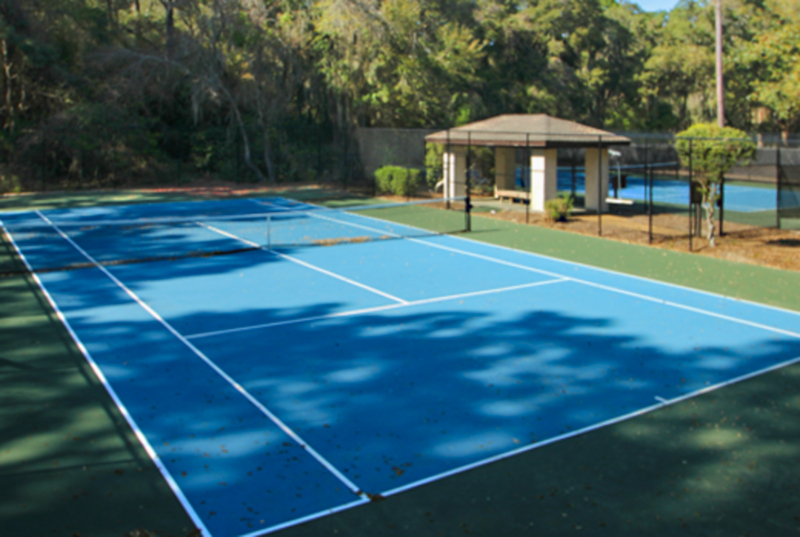 Extensive bike paths throughout Sea Pines make it easy to get around. 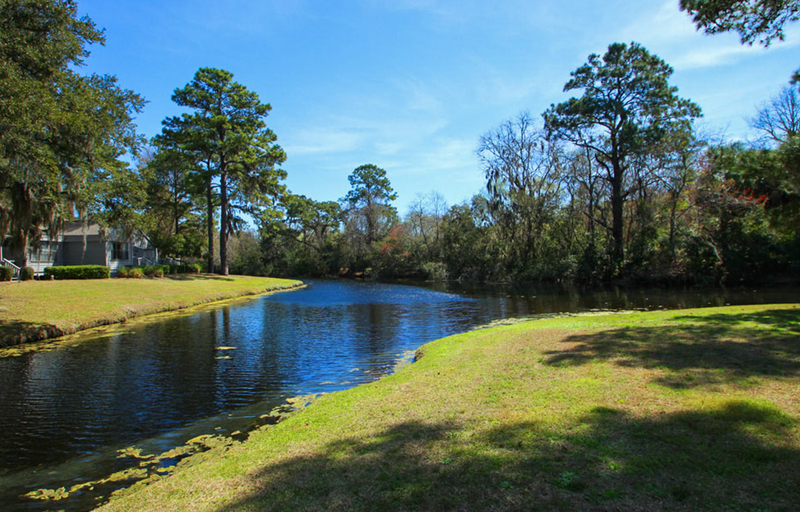 Take a leisurely stroll to Lawton Stables to see the horses or to Heritage Farms to enjoy the gardens. 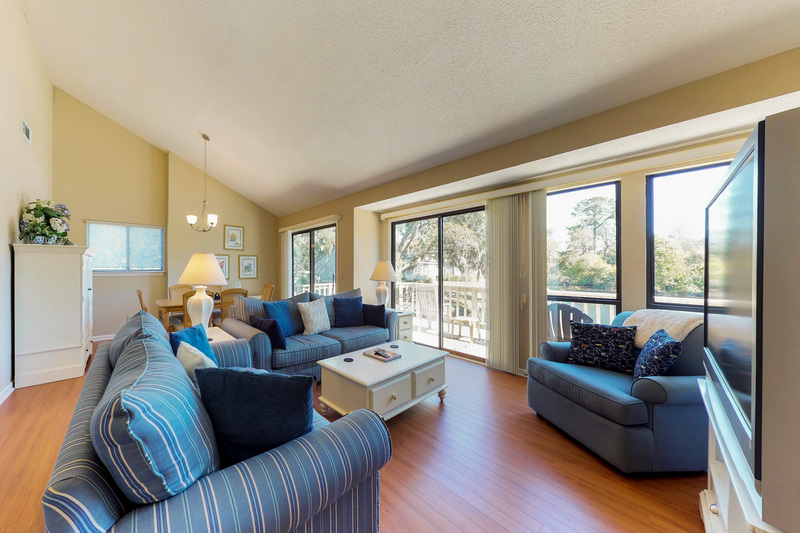 Skylights, broad decks, and extensive views of a large lake and the Forest Preserve lend a bright, airy feel to this popular villa. 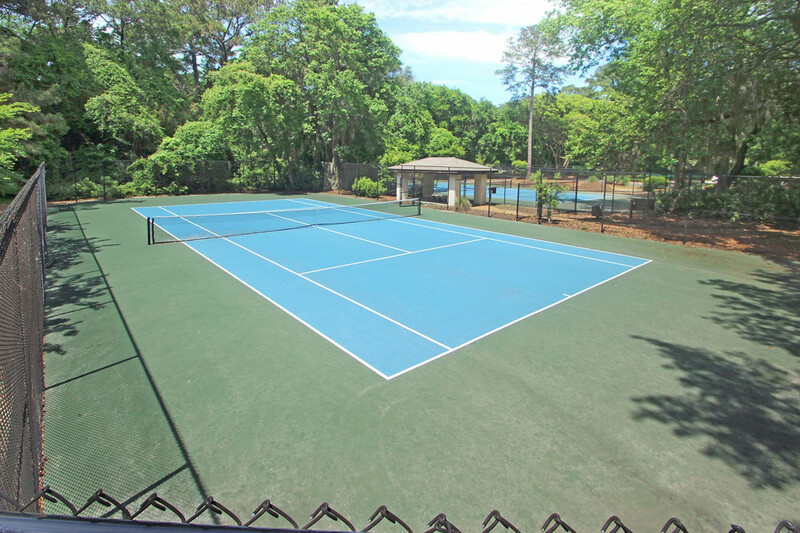 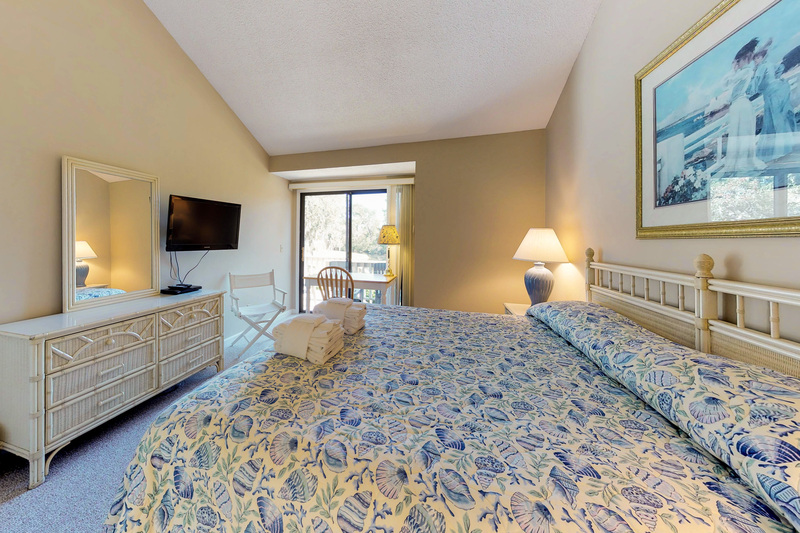 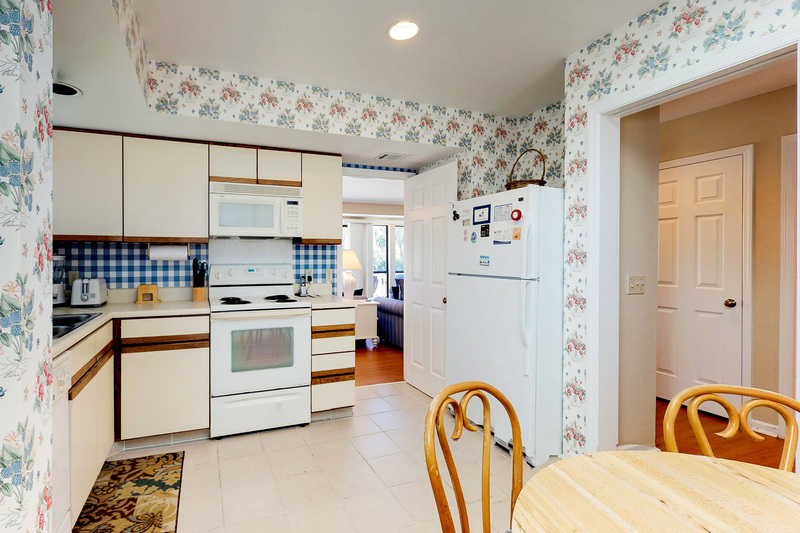 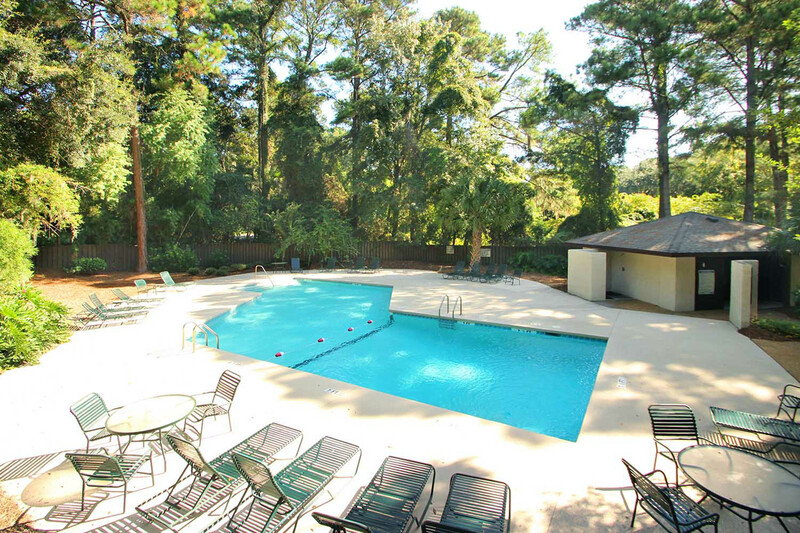 When you add one of the nicest swimming pools in Sea Pines and four on-site tennis courts, you will have discovered your perfect vacation spot. 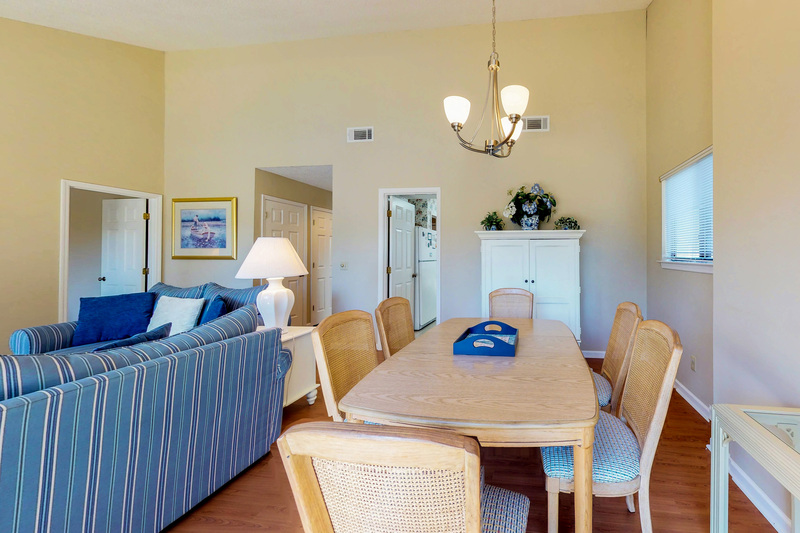 After a very uncomfortable and disappointing 2 days at another rental property - we had the pleasure of spending the balance of our vacation in this villa. 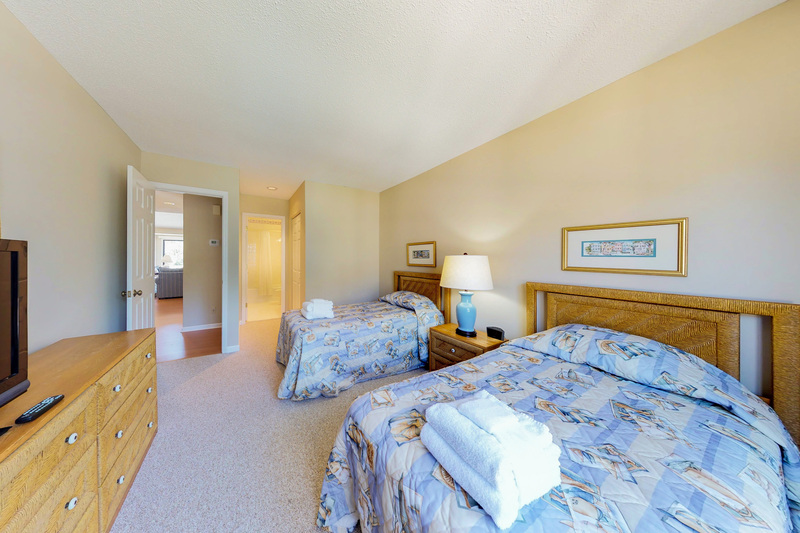 It was roomy, well appointed, in excellent condition and had everything we needed to fully enjoy our stay. 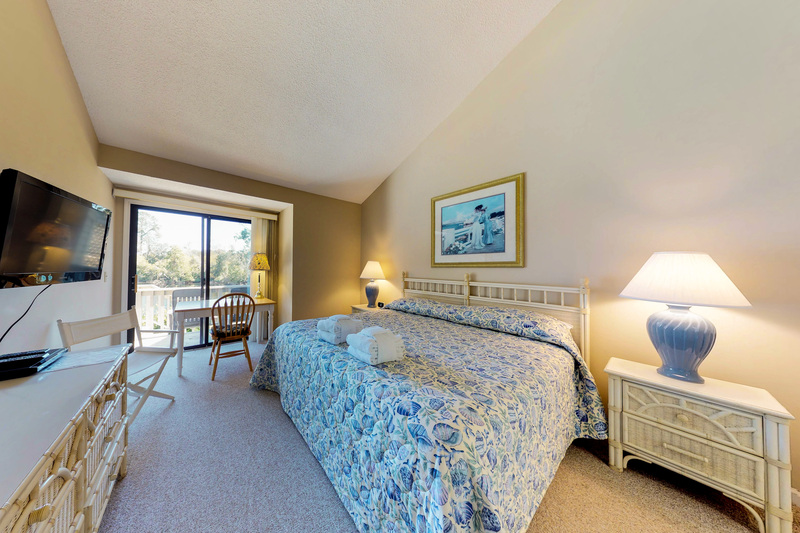 We loved the location overlooking the lagoon and adjacent to the Forest Preserve. 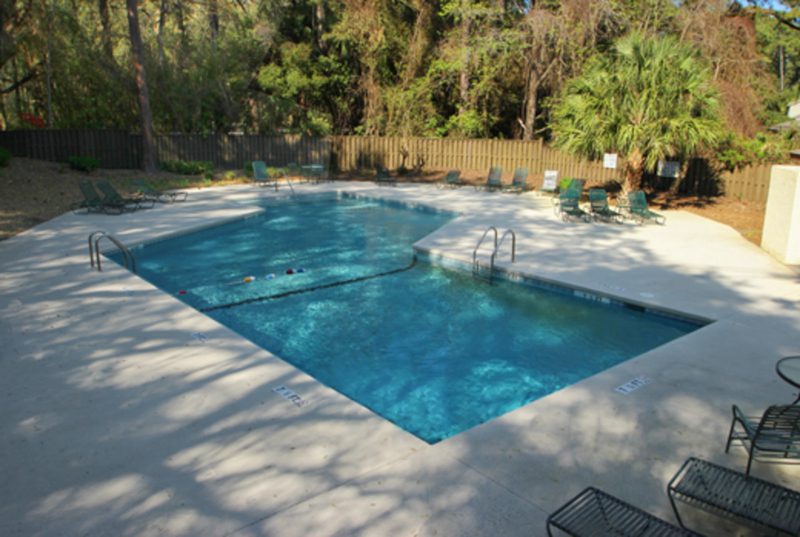 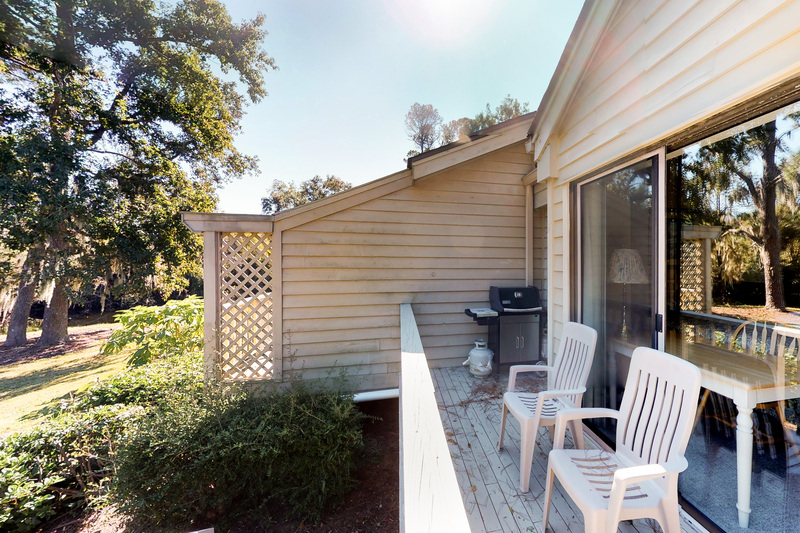 We had a fantastic trip in spite of a rocky start and thank the owner for taking such good care of the property and HHI Vacations for helping us find this perfect replacement accommodation.